← Galbraith Closed on August 21st! 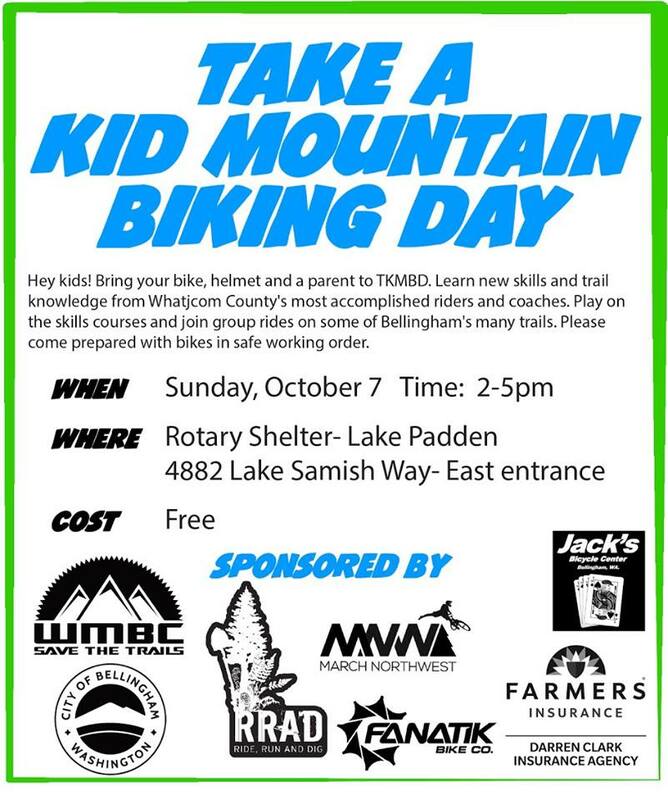 Hey Kids, Grab a Parent and join us for our annual Take a Kid Mountain Bike Day at Lake Padden on Sunday October 7 from 2-5. Thanks to all who help make these events possible!